the rate for electricity generated from the solar power system. the rates offered were designed to decline annually based on expected cost reductions, in a mechanism known as “tariff degression”. Indeed, FiTs have now been implemented in numerous countries around the world and have seen varying degrees of success, but the benchmark and by many standards most successful FiT today is Germany’s. Net metering allows residential and commercial customers who generate their own electricity from solar power to feed electricity they do not use back into the grid. Many states have passed net metering laws. In other states, utilities may offer net metering programs voluntarily or as a result of regulatory decisions. Differences between states’ legislation and implementation mean that the benefits of net metering can vary widely for solar customers in different areas of the country…. Net metering and feed-in tariffs are basically precursors to Value of Solar Tariffs (VOSTs). A VOST is actually geared at taking solar power’s various benefits into account (zero CO2 emissions, zero air and water pollution, peak power production, lack of need for new transmission, job creation, a price hedge against other electricity-generation technologies, etc.) and coming up with a set rate that a utility should pay for electricity generated from solar power. The key with such a policy is deciding which benefits to include and how to calculate the benefits — this can sometimes or often be quite debatable. Early applications of such a concept have varied considerably. In the US, a common renewable energy policy is the Renewable Energy Standard (aka Renewable Portfolio Standard). In the UK, the same concept is known as a Renewable Obligation. I prefer the term Renewable Energy Standard (RES), so I will use that for the rest of this section. Most states with RPS programs have associated renewable energy certificate trading programs. RECs provide a mechanism by which to track the amount of renewable power being sold and to financially reward eligible power producers. For each unit of power that an eligible producer generates, a certificate or credit is issued. These can then be sold either in conjunction with the underlying power or separately to energy supply companies. A market exists for RECs because energy supply companies are required to redeem certificates equal to their obligation under the RPS program. State specific programs or various applications (e.g., WREGIS, M-RETS, NEPOOL GIS) are used to track REC issuance and ownership. These credits can in some programs be ‘banked’ (for use in future years) or borrowed (to meet current year commitments). There is a great deal of variety among the states in the handling and functioning of RECs and this will be a major issue in integrating state and federal programs. In cases of RECs, “multipliers” may also be used to give more worth to electricity from certain sources. For example, if a multiplier of 3 were given to solar, one MWh from solar would be worth 3 MWhs from a “standard” REC. In areas with PACE legislation in place municipal governments offer a specific bond to investors and then turn around and loan the money to consumers and businesses to put towards an energy retrofit. The loans are repaid over the assigned term (typically 15 or 20 years) via an annual assessment on their property tax bill. PACE bonds can be issued by municipal financing districts or finance companies and the proceeds can be used to retrofit both commercial and residential properties. One of the most notable characteristics of PACE programs is that the loan is attached to the property rather than an individual. A key benefit of PACE financing is that a person can start saving money immediately through cuts in their electricity bills, assuming the electricity benefits beat the extra property tax payments… which they should. DSIRE includes more information on specific property tax incentives across the US. One would think solar mandates would have come onto the scene sooner, but they are actually a brand new policy in the United States (I’m not sure of their implementation outside the US). The city of Lancaster (California) in early 2013 announced that it would implement a mandate requiring that new homes be constructed with solar panels. The policy goes into action on January 1, 2013. Another Californian city, Sebastopol, soon followed with a similar mandate. However, in Sebastopol, the mandate is for commercial buildings as well as homes. Other common solar policies are rebates, tax credits, grants, and loans for solar power systems. Basically, these are exactly what you’d expect, simple financial ways in which federal governments, state governments, local governments, and utilities stimulate solar power investments and growth. On the federal level in the US, the big incentives in this arena are the renewable energy Production Tax Credit (PTC) and the renewable energy Investment Tax credit (ITC). Interconnection standards specify the technical, legal and procedural requirements that customers and utilities must abide by when a customer seeks to connect a renewable-energy system to the grid. In states without comprehensive interconnection standards in place, it is often more difficult, more burdensome and more expensive for customers to connect a system to the grid. In general, states may regulate the interconnection of electricity-generating systems to distribution systems, while the Federal Energy Regulatory Commission (FERC) regulates the interconnection of systems to transmission lines. Some states have adopted comprehensive interconnection standards that apply to all types and sizes of customer-sited systems, regardless of whether the system is net-metered. Some states have adopted interconnection standards that apply only to smaller systems that are net-metered. Some states have adopted interconnection guidelines that are vague and do not constitute standards. Other states have not adopted interconnection standards or guidelines. Comprehensive interconnection standards are developed by state public utility commissions, often when commissions directed to do so by state legislatures. The technical issues related to interconnection are addressed by the IEEE 1547 Standard for Interconnecting Distributed Resources with Electric Power Systems. All states with comprehensive interconnection standards require compliance with the IEEE 1547 technical standard. However, the policy issues related to interconnection are more complex and vary by state. While some states’ interconnection standards apply to customers of all types of utilities (e.g., investor-owned utilities, municipal utilities and electric cooperatives), others apply only to customers of investor-owned utilities. In addition, state interconnection standards vary widely by several other key criteria, including individual system capacity limit, interconnection fees, use of a standard form agreement, insurance requirements, use of an external disconnect switch, and provisions for interconnection to area networks (i.e., complex grids that serve highly urban areas). The “Freeing the Grid” project provides a detailed breakdown of the individual components of each state’s policy and an overall letter grade describing the overall quality of each, based on current best practices. Another basic is a jurisdiction’s permitting requirements for solar power systems. As we recently wrote here on Solar Love, two great sites for solar permitting information are SolarPermit.org and ProjectPermit.org. Read that article for a rundown of the differences between the two highly useful sites. And DSIRE includes information on permitting incentives. Of course, there are many more details to each of these policies, and there are other policies worth noting. If you think something else should be included here, feel free to drop a note and even a paragraph or more in the comments below. Additionally, the DSIRE Solar Policy Guide is a great place to go for more information. Anything to add? 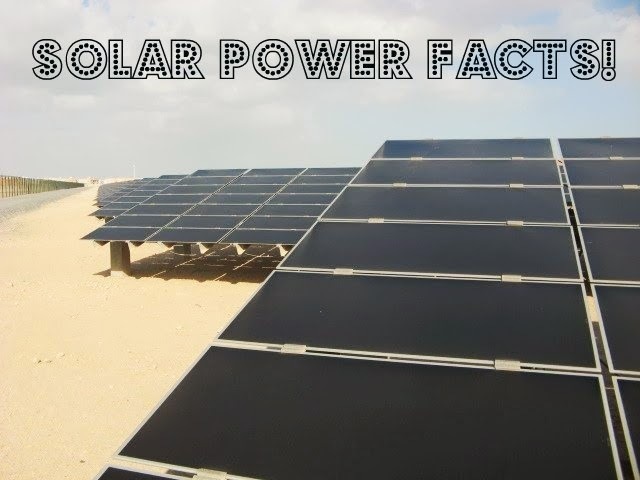 This page will be updated regularly in order to keep it the #1 source on the interwebs for solar energy and solar power facts.